Journeys of discovery over land and loch exploring the breath-taking highland landscape. Award winning activities and experiences suitable for all ages and interests to enjoy. Unique, inspiring venues perfect for exceptional events, weddings and special occasions. All our products are consistently rated 5 star so you can rest assured your booking is in great hands. Explore the Water – Discover the Story. 5 star boat cruises on Perthshire’s largest loch. An inspirational journey for all ages. 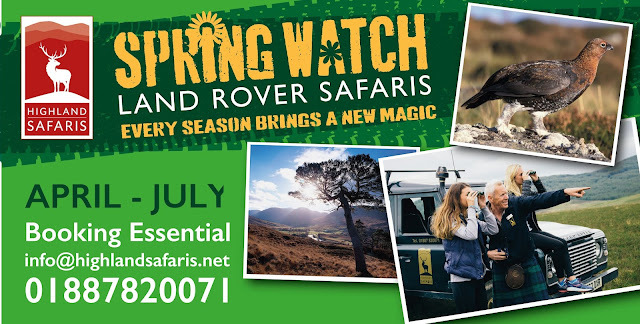 Great for families and those looking for a shorter Safari as you climb aboard your Land Rover with your Safari Ranger. This exclusive, tailored Safari with your Safari Ranger is perfect for those looking for a versatile, personalised adventure. Travel from the valley floor to the high ridges by Land Rover to explore this stunning environment sculptured by the elements. Perfect for a fun family day out. Escape to the hills and enjoy walking or biking without the effort of the uphill climb. Get behind the wheel on the UK's highest Off Road Driving course to find out what these Land Rovers can really do. Experience the noise and drama of the dawn chorus as the moors and glens come to life, and enjoy a delicious Scottish Breakfast on your return. Our Hilltop Bothy is set in an exclusive location at 2000 ft.
Our Hilltop Marquee is our flagship venue situated at 1600 ft. Dining al fresco is what our Hilltop Safari Venue is about. Beautiful yet accessible venue that is a wee bit different. Highland Perthshire is a treasure trove of high quality local produce. Tailor your very own wedding day within the truly breathtaking surroundings. Let your imagination run wild! For fun, laughter, inspiration. Delighted to welcome tour operators, accommodation providers & travel agents. A wonderful visit - learning about deer, feeding them, meeting the local barn owl close up and seeing her fly. Tractors for the young ones to try out, and the big beast for the adults to explore the countryside added to the options. The visitor centre and shop offered quality products and the cafe was excellent. Each member of staff we met, excelled our expectations. Cannot recommend it enough for all of the family. We took a 4 wheel safari to the very top of a mountain with this great company. On the way we were treated to views of the countryside, Red Deer, Mountain Hare andnumerous species of bird life. The drive was an adventure in itself, our driver negotiating bumpy roads and dodging huge lorries along the way. Our driver/guide was extremely knowledgable regarding the area and wildlife we spotted along the way. This was my second visit very different from the first at a different time of year, both spectacular. The guides are so incredibly knowledgeable in a very easy way, brilliant with children. Remember it can be far colder at the top so dress comfortably with layers, nip to the loo before you go off on your adventure. You will be taken on a route that suits the weather conditions, very well planned. Highland Safaris is situated on the B846, it is the location of the Red Deer Centre, café, shop and all our Safaris depart from this location.